Oak Ridge Gem! 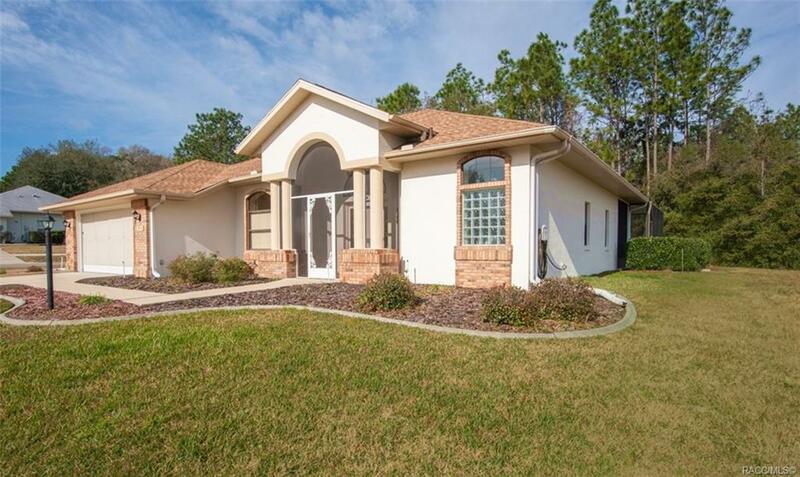 Light & Bright 3 BR/2 BA POOL home on Corner Lot; Neighbor-free on both sides & rear! Master Suite w/ Double Tray Ceiling; His/Her Walk-in Closets. Sliders in Master, Living & Family Rooms open to Lanai & Heated Pool: Here you'll enjoy beautiful Florida winters! Updated baths; Granite Kitchen. Screened Front Porch. NEW ROOF (1/1/18). FREE HOME WARRANTY! Clubhouse has pool, pickle/tennis courts, billiards, social clubs. Friendly Neighbors & Mature Lifestyle. 5 Minutes to Shopping, Golf, Medical, 15 min. to Crystal River & 30 min to Ocala! Location, Location! THIS WILL MOVE! Directions: Lecanto Hwy N. Of Beverly Hills To Second Oak Ridge Entrance (Whispering Oak Lp) 50 Ft N. Of Deltona Blvd. First Left. House On Left On Corner.